What is a pump room? 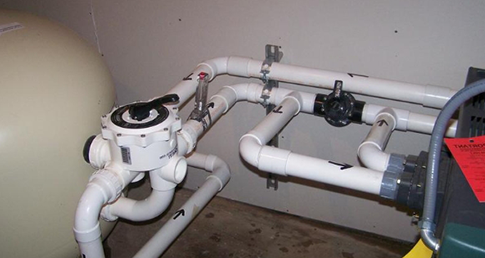 A pump room or an equipment room is where the pipes from the pool stub to and connect to all of the necessary equipment to filter and chemically treat the water. 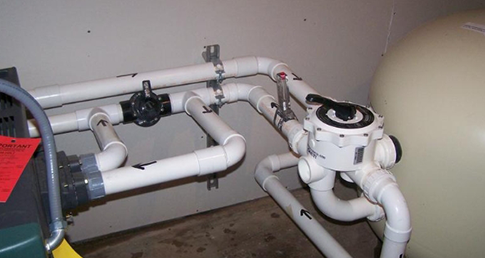 Pump rooms that were not set up in the most efficient configuration to operate properly, maximize water turnover, or use the available space in the room may require renovation. In other cases the system that was not designed with enough equipment to maintain the water properly may also require renovation. What is the Positively Pools difference? Along with over 100 pump rooms completed, Positively Pools uses an industry standard mathematical formula that combines needs with uses. Use of space is also incorporated into every renovation. We attempt to create a room that not only functions at its highest potential but is also user friendly and has space for storage.